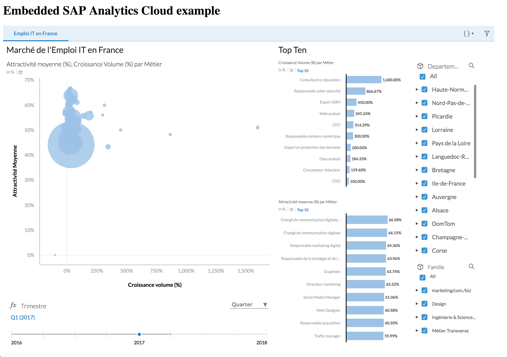 This blog post is intended to help customers and partners using SAP Analytics Cloud (SAC) to embed story into Corporate Web site. 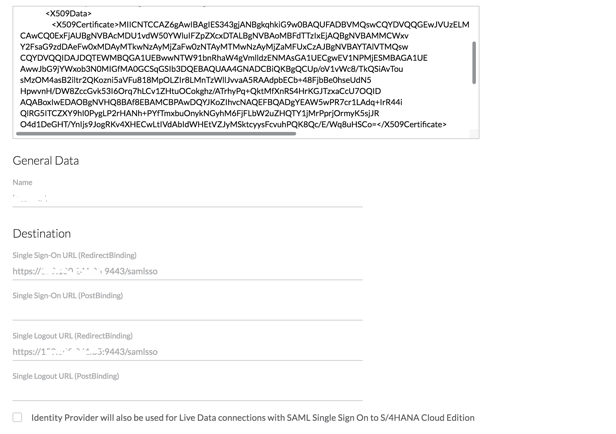 We will address specific settings of SAC URL API, Single Sign-on with SAML2 federation in the context of embedded Story in an iFrame. 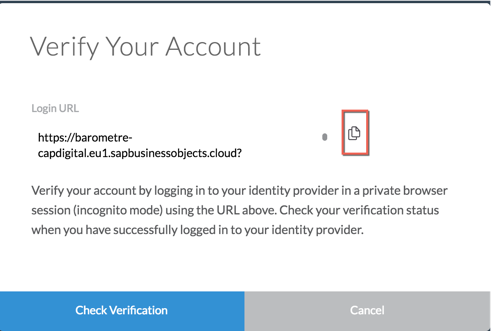 For this proof of concept (PoC), I did with a french customer, I used the Open Source application WSO2 Identity Server (WSO2 IS) as Identity Provider (IdP) to configure SAML2 Single Sign-on with SAP Analytics Cloud. Embedding SAC story in an iFrame requires to control ClickJacking Protection of IdP authentication page and SAML2 posting. By choosing WSO2 IS, I am able to customize my authentication page and show how you can set suitable X-FRAME-OPTIONS in Tomcat Server. To Install and setup WSO2 Identity Server, please refer to documentation by clicking on WSO2 Installation & Prerequisite. For this PoC, I have installed WSO2 IS on Linux Ubuntu 16.04 LTS 64-bit and set adequate network settings to enable access from User Browser. 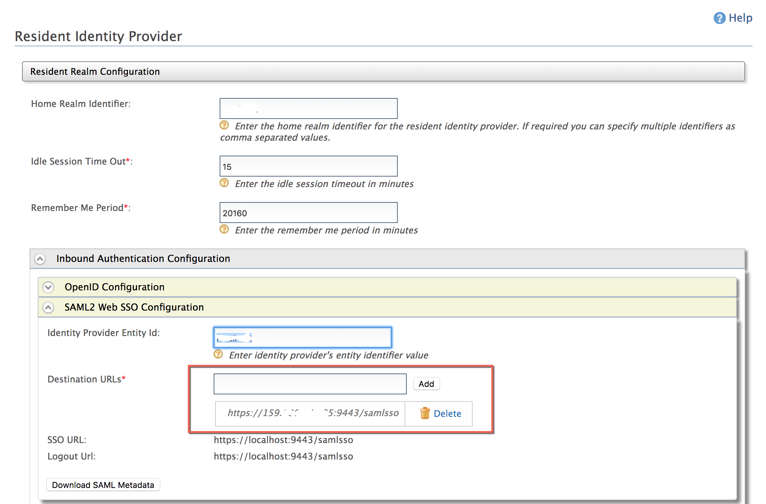 To complete setup do not forget to change default IdP settings to be in Production configuration by clicking on WSO2 Deploying Identity Server in Production. Then, before starting any Service Provider setup, please check host name in WSO2 IS Server Home page. Log as admin user. The first time, default password is admin. It has to be changed as soon as possible. At this step, we are going to create a WSO2 IS Service Provider for SAC. 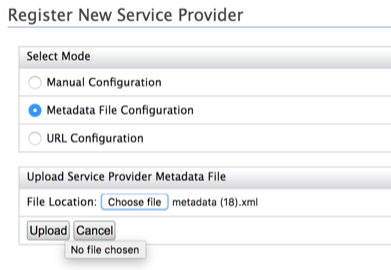 You need to upload SAC SAML2 metadata into WSO2 IS Service Provider definition. Now, login to your SAC tenant with admin privileges and navigate to System/Administration/ Security folder. Then, you have completed Service Provider settings. Enter User Name and password and click Next. Select your Service Provider in the role list and click Finish. You have now to update your user profile. Select User Profile for the newly created user. Enter eMail address which is required for IdP attribute mapping and click Update. At this step, we are going to change SAC Identity Provider from standard SCI IdP to our own WSO2 IS IdP. 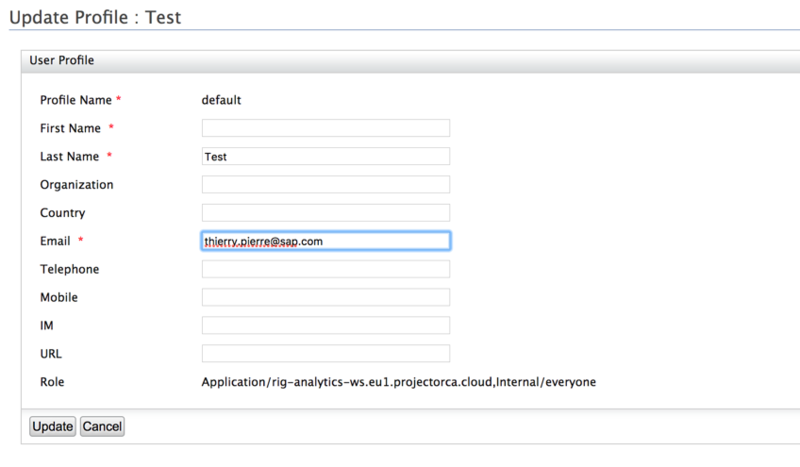 Let’s first get metadata file from our resident IdP in WSO2 IS. 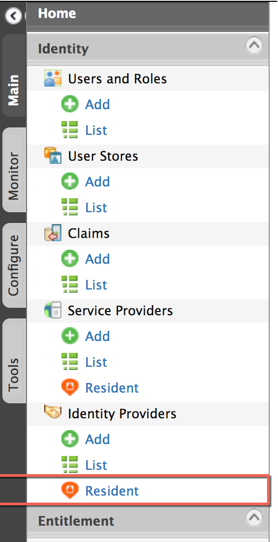 As you can guess, we are going to use the resident IDP available in WSO2 IS. By the way, We could also have set WSO2 IS pointing on another third party IdP. Select Resident from Identity Providers folder. Then, open Inbound Authentication Configuration / SAML2 Web SSO Configuration folder. Please check and change if necessary Destination URLs to ensure that host name is pointing to your IDP server. Do not take care about SSO URL and Logout URL pointing on Localhost, I did not find the way to change it (a bug maybe…). We will update Metadata later on, if necessary. 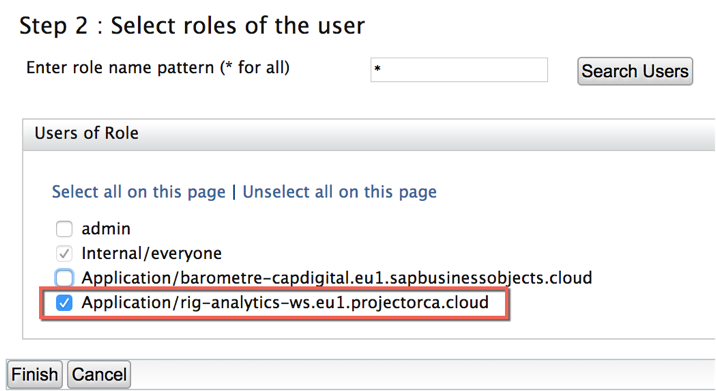 Then, now you can now click on Download SAML MetaData. <SingleLogoutService Binding="urn:oasis:names:tc:SAML:2.0:bindings:HTTP-Redirect" Location="https://<your IDP servername>:<your port>/samlsso"
You are now able to upload your IdP Metadata file into SAC. 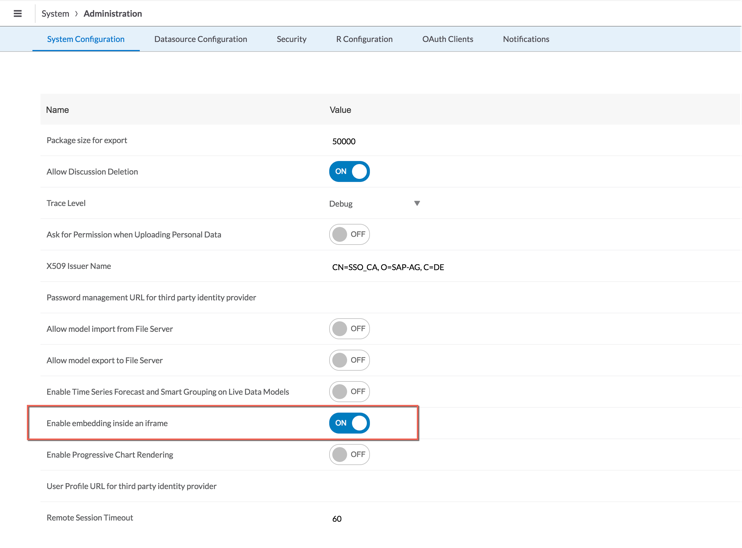 Switch to your SAC tenant which should be still opened on System/Administration/Security (see step: Setup Service Provider). 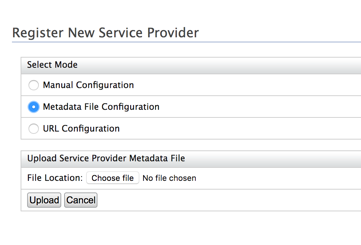 Click on Upload…, choose your Metadata file and click Open. 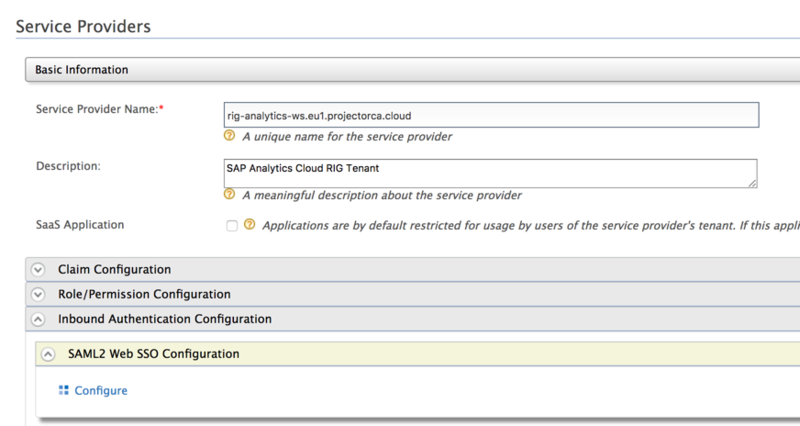 Step 3: Select email to map user attribute between IDP and SAC. 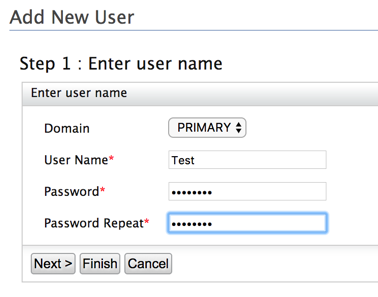 Check Dynamic User Creation to automatically create user account if the selected attribute does not match an existing user. Step 4: Now, let’s check. Enter your email address and click Verify Account. In appearing pop-up windows, copy Login URL. Open a new Incognito window in Chrome Browser. Paste your URL. 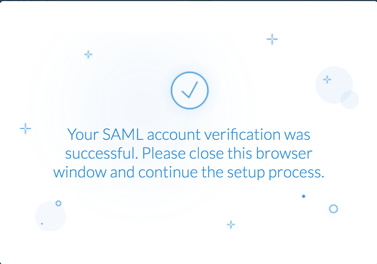 You should now get the following screen: Account Verified ! Save your configuration and click Convert. 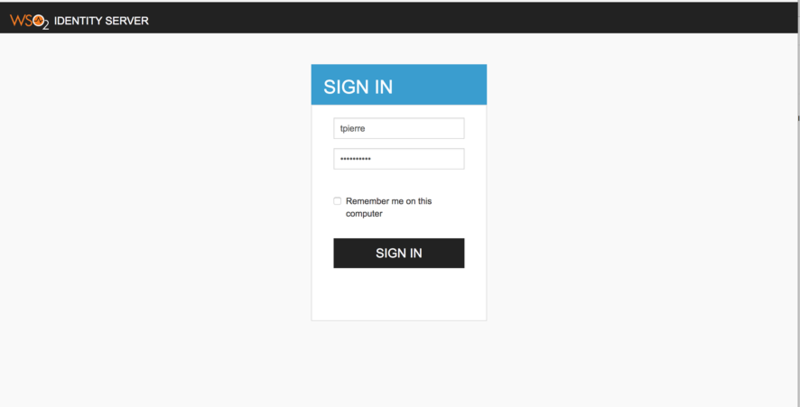 Let’s build the story URL to be used in iFrame later on. First I have to identify parameters to build URL API. For parameters, I use mode=embed and pagebar=disable as parameter of my page. “embed” parameter sets the story into embed mode. In embed mode, you can see the pagebar with a filter button, but main bar and toolbar do not appear. If “pageBar” is set to ‘disable’, then the page bar will not be displayed. You can also get story definition from an HTTP GET request which allows fetching a listing of stories along with metadata for each story. Full path is https://<your tenant URL>/api/v1/stories. When SAC runs in an iframe SAML2 redirects some POST to WSO2 IS Identity Provider into iframe. That requires WSO2 authentication page has to be displayed with clickjacking protection disabled. You also need to enable SAC Story to be embedded in iFrame. Then, login to your SAC tenant with admin privilege and navigate to System/Administration/System Configuration folder. 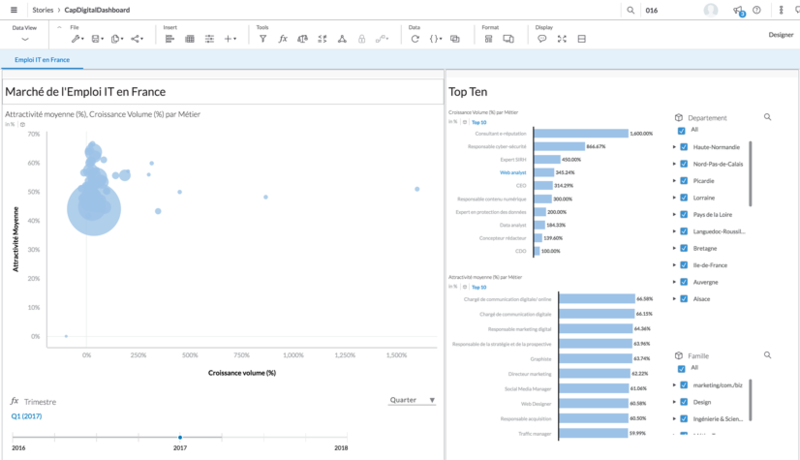 Click on Edit connection and switch parameter Enable embedding inside an iframe on. 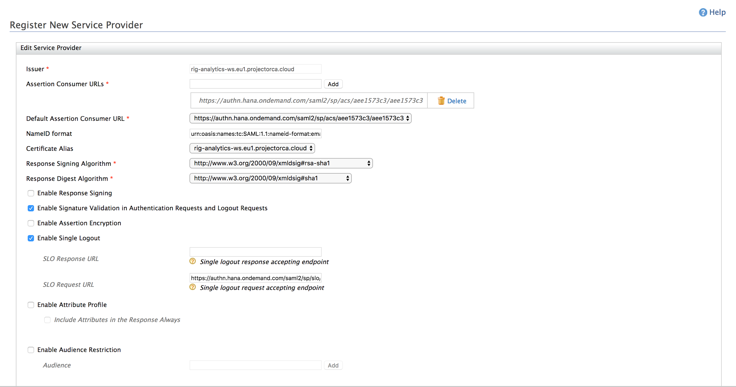 KBA 2487116 for AD FS configuration and KBA 2487567 with steps on troubleshooting SAML. Fantastic, comprehensive work Thierry ! 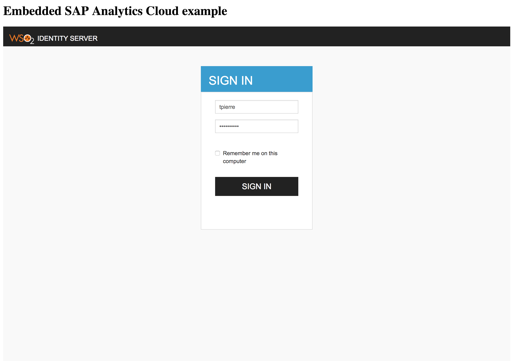 You mention that SAP Cloud Identity also enables to control of ClickJacking Protection. Do you know where this would be documented ? How does this work from an SAC licensing perspective? Is it possible to pass information from SAC to the enclosed app ? I am aware we can pass input filters to SAC by reloading the iFrame but is the other way possible ?